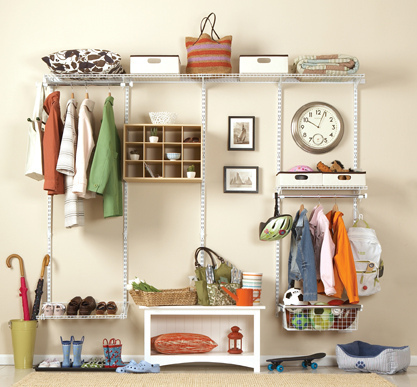 What’s All the Fuss About Organizing? Everyone’s talking about it. Reality TV shows like Hoarders, Enough Already, and Buried Alive are turning heads while revealing the challenges of chronic disorder. This media exposure has given us all an opportunity to look more introspectively into our own lives. While most of these stories are extreme cases, so many more of us still struggle with normal levels of day to day organization. I know what you must be thinking. You haven’t got the TIME . I get it. No doubt, we are all so busy with our lives; our schedules are hectic, our relationships are complex, our jobs are stressful, and the one commodity we all lack is the overabundance of FREE time. And when we finally find some leisure time, we certainly don’t want to spend it cleaning and sorting our stuff. Let’s face it, not only do we all own way too much stuff, we have too much stuff to do, and little time to do it in! We have an influx of paper coming into our homes at rapid speed, without ample time to sort or trash. We have bills past due, magazines unread, clothes galore (neither cleaned, folded, or found) There are pens that don’t write, projects that never get finished, garages that no longer accommodate our cars, consistently lost or misplaced items, and a vast collection of seldom watched CD’s and DVD’s that are climbing up our walls, etc. You and I both know that this list could go on forever. So what do we do? We do what any other average person would do; we continue to put things off for LATER. But here’s the thing…putting things off for LATER just creates a million tomorrows that keep mounting into an overwhelming and fruitless situation. Procrastination is paralyzing and exhausting. Make the time. Create more time to do the things you want to do, not have to do. Don’t you deserve that? If your “TO DO” list is growing and being neglected, chances are its filling your head with needless clutter, and impeding on your functionality. The solution is simple: Time-management. Organization is the most vital tool we have to manage our daily lives. It nourishes our productivity in both our personal and professional lives. Being organized is the best way to maintain balance and order in our daily lives, while providing a more efficient and functional landscape for our ENTIRE life. More importantly, an ORGANIZED life is a more fulfilling one. It will reduce the day–to-day stress, and give us more time to enjoy our life and our family! So if getting organized is the latest rage, don’t you want to join in all the fuss? Jump in. Be trendy.